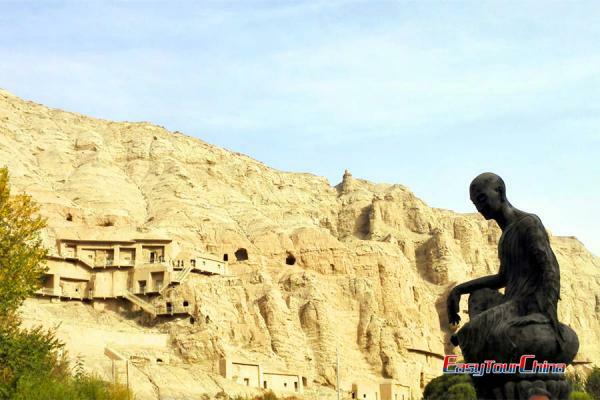 Fly to Urumqi and connect your flight to Hotan. Upon arrival, be met and transferred to hotel for check-in. Drive 30 km (one hour) to the edge of the Taklamakan Desert and then hop on a camel for desert exploration (about 6 - 7 hours). Camp overnight in the desert. Ride the camel to Rawak ancient town, and visit Buddhist pagoda ruins (built in Tang dynasty 6th century AD, combination of Persian Indian architectural style), Malike-awat ruins, Jade River and jade carving factory. 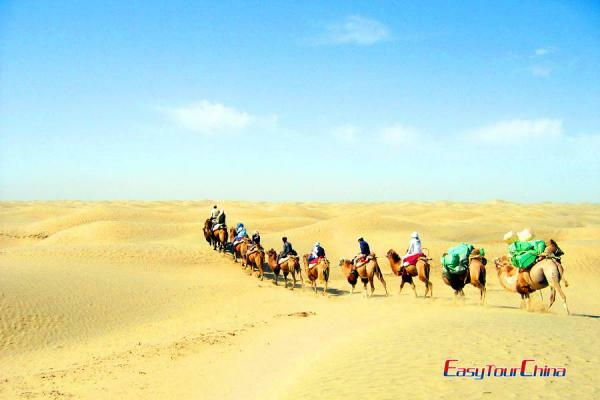 Drive 520 km along the southern rim of Taklamakan Desert to Kashgar, a quaint oasis town, which was once the center of civilization in the Tarim Basin. 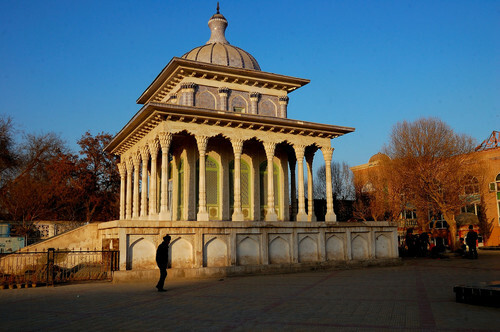 On the way, visit the magnificent mausoleum of Yarkant king, and the old streets of Yarkant city. 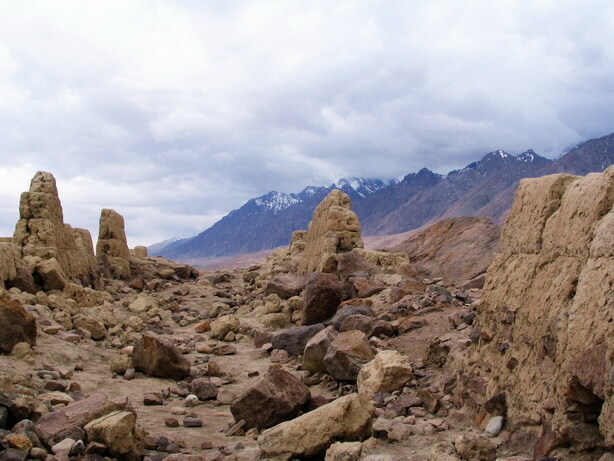 Yarkant once was a famous Silk Road town for traders. You will also visit Yingsar hand-made knife factory before you arrive to Kashgar. 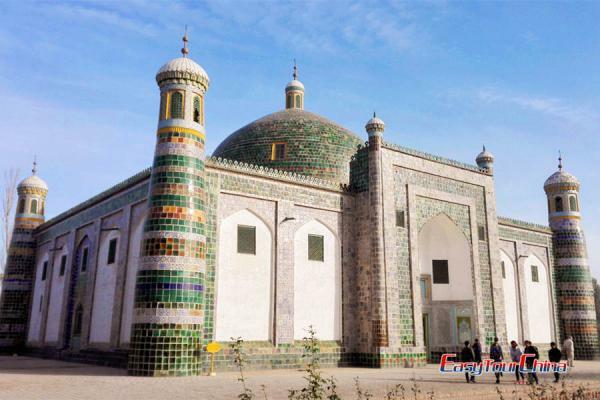 After breakfast, drive along famous Karakorum highway for 200km.On the way you will pass by Mahmud Kashgary tomb who was a famous linguist around 11 century. Arrive at Karakul Lake, flanked by a 7000m giant and beautiful snow capped mountains Muztagh-ata and Mt. Kongur. This area is also occupied by local Kyrgyz people as pasture land. So you could also see local nomadic life there by Yaks. Stay overnight in the yurt for the adventurous or a hotel in Tashkurghan. Enjoy breakfast by the Lake and a free hike in the morning. Then drive 1.5 hour to Tashkurghan (100 km) to visit the Stone City. After a short rest, we drive about 2 hours to the Khunjerab Pass (4693 m), which is said to be the highest border crossing in the world between Pakistan and China. The scenery at the pass is indeed incredibly beautiful. Overnight at Tashkurghan. 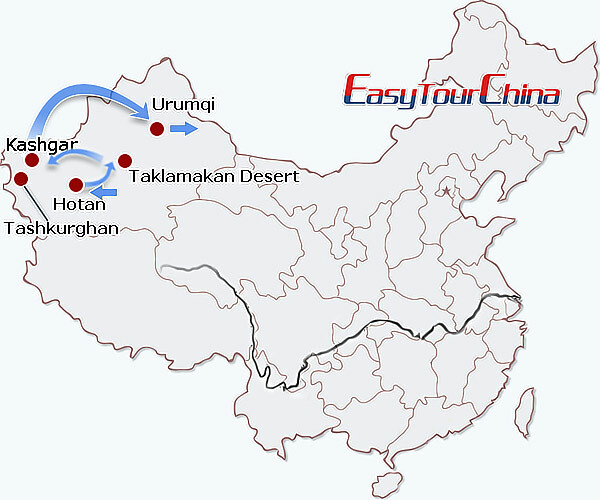 Drive all the way to Kashgar (5-6 hours). Free at leisure on your own. Take a morning city tour to the old town and Handcraft Street of Kashgar, like its name Kashgar was so called as the center of the hand crafts such as iron, wood, cooper and gold products. You feel like you are not in China while you walking through the old town of Kashgar. Afternoon visit the local bazaar and also visit the Main Market area which has more farmers on Sunday. 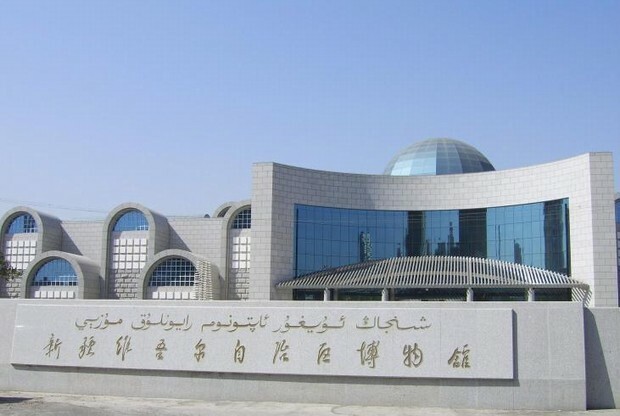 Transfer to fly to Urumqi, be met and transferred to visit Xinjiang Museum. Free time at leisure.